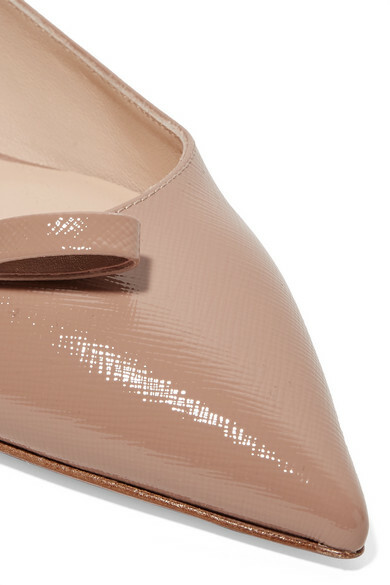 Prada's flats have been crafted in Italy from the label's signature Saffiano textured-leather. This adjustable slingback style tapers to a leg-lengthening pointed toe that's topped with a feminine bow and embellished with silver logo hardware. The beige hue makes for endless styling options. 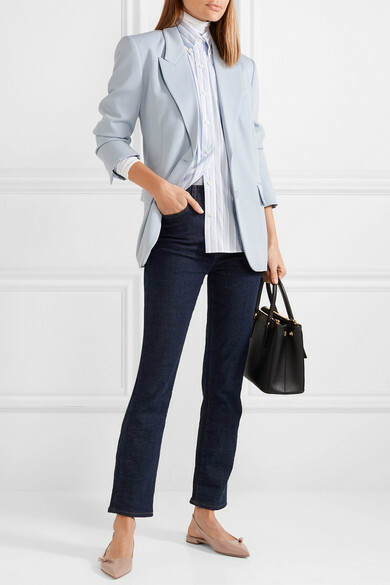 Shown here with: Prada Top, Acne Studios Bodysuit, Stella McCartney Blazer, CASASOLA Jeans.